Dhaka, 4 October, Abnews: Actress Priyanka Chopra is excited to embark on a new “chapter” as an investor in tech start-up Holberton School, a coding education company, as well as in dating and social media app Bumble. This is also an effort on her part to help change the tech industry’s gender disparity. “A new chapter for me! I am so excited to partner with Bumble and Holberton School as an investor. 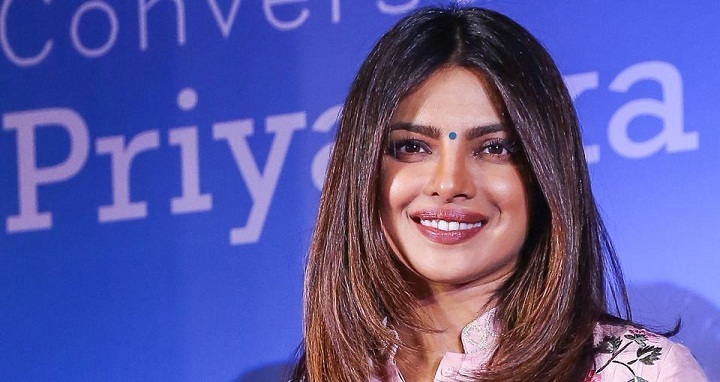 I’m honoured to join two companies that strive to expand gender diversity in the tech space, and make a social impact for the greater good... let’s do this,” Priyanka tweeted on Thursday. It is her first project as a start-up investor, and Priyanka recently toured the San Francisco home of her new portfolio company—the school which uses projects and group learning instead of more traditional courses, to teach software development, according to The New York Times. The actress’ investment in Holberton is part of an $8.2 million round of funding for Holberton that closed in April. She will join the company’s board of advisers, and will emphasise support for Holberton’s mission to educate people from underprivileged backgrounds. Her investments will skew heavily toward companies with an element of social impact, and companies founded by women. “I don’t want to just be one of those people who’s like, ‘Yeah, I want to be on the tech bandwagon—how are they making so much money?’ It’s not about that,” said Priyanka, who is engaged to American singer Nick Jonas, has been squeezing in meetings with start-up founders and lined up future investments in between her hectic schedules. “Geeks are taking over the world. If they haven’t already,” said the “Quantico” star, who has joined the bandwagon of celebrities like Ashton Kutcher, Leonardo DiCaprio, who have invested in tech start-ups too. Priyanka said she did not yet know how many deals she would do or how much money she would invest, but she does plan on building a portfolio. Her second investment is in Bumble, a dating and social media app founded by Whitney Wolfe Herd. She plans to help promote Bumble’s launch in India in the coming months, reported The New York Times.